Paying attention to the cultural hairstyles of your adopted child’s birth culture can help your child to feel a sense of belonging. Adopting transculturally offers the special gift of integrating your child’s birth culture with your own. There’s a lot of learning and excitement involved for you and your adopted child. A transcultural adoption changes the lives of all involved by introducing a new culture to your family. Many parents strive to bathe their child in cultural connections with their child’s roots. In the process they also make those cultural connections for themselves. There may be difficult times when your child has to cope with being a part of two different cultures. Your openness and loving care will help guide your child through those troubled times to learn that both cultures are equally beautiful and celebrated. Here is some further guidance for integrating your adopted children’s birth cultures into their daily lives. Many parents of transculturally adopted children prefer to be open and positive about their child’s birth culture. This is a great way to help your child become used to the duality of being born in one culture and growing up in another. Talking to your child about the beauty of their birth culture, even if your child can only respond in coos and giggles, is an exciting learning experience for you and your child. The more openly you talk about your child’s birth culture the more natural the duality of cultures will become to you as well. Becoming knowledgeable and comfortable with your child’s birth culture now is a great way to help you guide your child as they are growing. Your home is where your child feels safest and where your child feels they belong. You can help your adopted child feel at home with their own culture by bringing elements of that culture into your home. Your child will begin to relate their birth culture with “safety”, “comfort”, and “home”. Hanging works of art from the walls that originate from your child’s birth culture or making culturally-specific foods for dinner are great ideas for making your child’s birth culture a part of your family. You can also incorporate other elements of your child’s birth culture into their life. For example, you can celebrate holidays that derive from your child’s culture but may be overlooked in your own, like Diwali, Kwanza, or Chinese New Year. 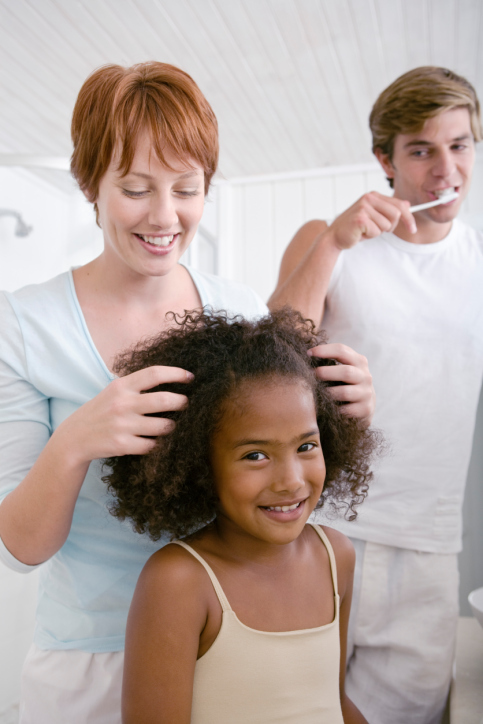 If you are thinking about adopting an African American child, consider learning about different hairstyles that are popular in African American culture. These exercises will help your child feel like an included member of their own birth culture. Many places, especially cities, have large celebrations of various cultural events. From cultural holiday celebrations to storytelling festivals, musical performances to dance productions, there are many ways to get your family involved. You can bring your child to these exciting events to help them learn about their culture. Going to cultural festivals and celebrations are a great way to show your child how various people appreciate and love your child’s birth culture. Seeing people celebrating their birth culture—but most of all seeing their family celebrate their birth culture—is a wonderful way to help your child feel loved, accepted, and connected to their birth culture. This entry was posted on Friday, December 4th, 2015	at 5:13 pm	. You can follow any responses to this entry through the RSS 2.0	feed. Both comments and pings are currently closed.